"I enjoy hats. And when one has filthy hair, that is a good accessory." I think hats are a great fashion piece. They have a long and strong history, and while I personally think that hats are always in fashion, they have recently been brought back into the forefront of fashion by the highly popular Kare Middleton. So since this week I'm doing wedding themed blogs I decided to discuss an aspect of wedding I feel that is sadly neglected and that hats could totally fix. The leaving outfit! You know the outfit that you go to the airport in or leave your reception in. I know we all want to stay in that glorious wedding gown as long as possible but just wear it on your anniversary or something. I think it is very important to have an outfit to wear as you are leaving the reception and going on to your next stop. I mean its one more opportunity to look absolutely fabulous... why pass it up?!? In my head I have always seen myself leaving my reception running under the rice or bubbles or whatever in a fabulous hat with a veil and all that jazz. It's probably because my mom wore a hat and I have seen it in pictures. For whatever reason it has always been an unshakable idea in my head. And with the royal wedding coming soon, and it being mandatory to wear a hat to the big day I think its the prefect time to explore the world of hats. 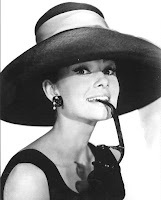 Here are my top five favorite types of hats to wear with a simple outfit to make sure you look elegant whether spectating or fleeing! - This is a classic shape for a hat. I like wide brims, but i like them with only simple adornments. Sometimes people have a tendency to think that the more stuff you put on them the more rich and fashionable you look. I think you eventually you just look like you are wearing a craft closet on your head. A simple bow will do you. This hat can go with a wide variety of outfits but try to keep whatever it is form fitting. With all that size and shape on your head if you wear something with a lot of volume on the bottom you will just end up looking spacious and not elegant. 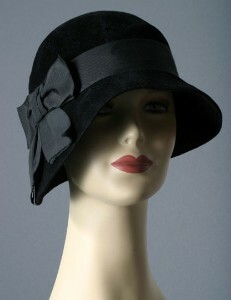 - This hat is originally from the 20's but it is making a resurgence. I think this hat is suited for a more subdued personality. But just because there are no feathers doesn't mean that this hat is any less elegant or alluring. I do however think this hat is more suited to the winter months or maybe if its in a jewel tone the spring. In the summer it may look a little silly. I can see this hat paired with a tailored skirt suit in a cool color. Tres chic! 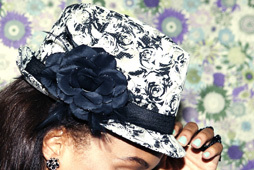 - This hat is a little more casual yet still elegant and interesting. Floral is really in right now and I really like the idea of a floral or some other pattern instead of boring old straw or felt or whatever else. This is for your wedding, we cant have hum drum we must have fabulous!!!! I like the fedora and it goes well with a ponytail. Which if you had a really elegant hair style for your ceremony a pony tail will be a welcome comfort. OK those are my top picks for hats. And while I picked these for after a wedding, these can be options for a multitude of other occasions. I think hats are magnificent are seriously neglected. So go find a hat and put it on! Awe fun :) You used my pic! The pillbox photo was me (Katie Greiner) taken by Christa Taylor in Portland, Oregon, and is by Unveiled Designs - MUAH Caprice Hammon - if you're interested in posting any of that info! Thank you for the info! I will edit that in!